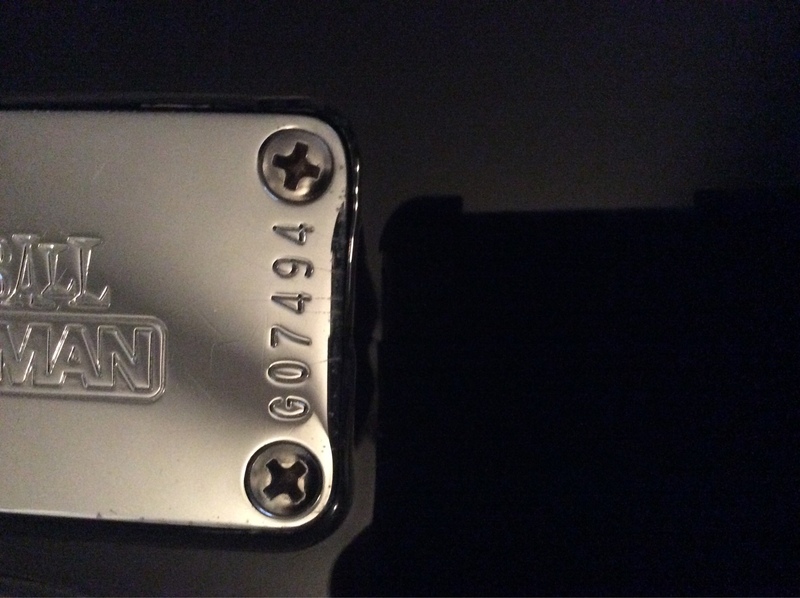 I have an incredible black stingray fretless serial number E16086. Just want to know the yeae of production and if it includes the new version (hotter) of the preamp that was issued on mid-2000. This StingRay 3EQ was completed on July 3rd, 2000. The color is Black with the Rosewood fretboard. The new 18v StingRay Special preamp was released in 2018 and can only be found on the StingRay Specials. We did not make an alternate "hotter" preamp for the StingRay 3EQ models. This StingRay Special 5 was completed on May 30th, 2018. The color is Classic Natural with the roasted Maple neck. Hi there... looking for the DOB on my MusicMan Stingray 5... serial number: 54080. I bought it new but can't remember when! Sometime in the 90s. Thanks. Can you tell me DOB MM Stingray with serial: E71582 please? Also can you please tell me the technical specs such as body wood and electronics on that particular model? Thanks for your time. Last edited by Skaine; Yesterday at 02:26 PM. Hello- just picked up an Axis &ldquo;Gravity Games &ldquo; Special Edition serial # G07494, can you tell me the DOB? Thanks! This StingRay 5 was completed on November 5th, 1993. The color is Trans Red with the Rosewood fretboard. This StingRay 3EQ was completed on May 13th, 2009. The color is Black with the Rosewood fretboard. The body wood is Ash. It has the Ernie Ball Music Man StingRay 4 string 3EQ preamp and pickup. This StingRay 3EQ was completed on September 5th, 2008. The color is Black with the Maple neck. This StingRay 3EQ was completed on April 11th, 1996. The color is White with the Maple neck. Hello- just picked up an Axis “Gravity Games “ Special Edition serial # G07494, can you tell me the DOB? Thanks! This Axis Sport HH was completed on August 24th, 1999. This StingRay 5 was completed on August 17th, 2005. The color is Black with the Maple neck. The body wood is Ash.